Every year Ukraine celebrates Victory Day. Not even a living participants of the events that literally turned the world history. Even 70 years later, people find things related to World War II. Perhaps you have heard in the news that somewhere else is still faced grenades at that time, then the bomb. Those four years when Ukraine was in the center of the fighting, were among the most tragic in its history. Price of victory was too high. 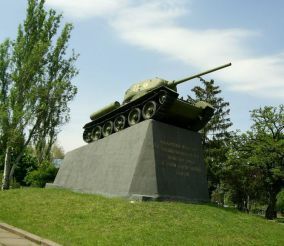 When you travel Ukraine, almost every town or village meet memorials memorials that remind us of the events of 1941-1945. On the pedestal are often examples of equipment that time. From August 1941 Krivoy Rog was occupied by German troops. Third Reich just could not miss such a place: huge traffic and railway junction, steel giant. However, before the occupation of almost all the factory equipment was shipped to Nizhny Tagil. And all that did not have time to hide - blew up, brought down. The occupation lasted until February 1944. 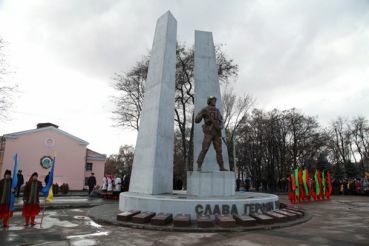 The city was liberated by forces of the Third Ukrainian Front. 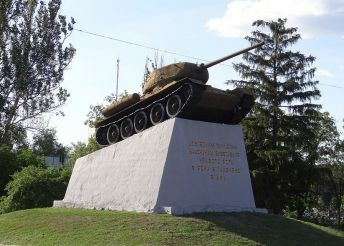 As a reminder of those events in Kryvyi Rih on concrete pedestal is T-34 with serial number "23". In people it is called "Thirty." This fighting vehicle during the war drove hundreds of kilometers of front-line roads, Tank participated in the liberation of Prague and even stormed Berlin in May 1945! 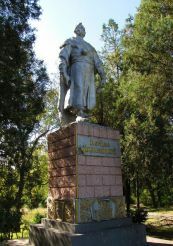 It is located in the Central City area of ​​Kryvyi Rih on Liberation Square. It can break through the avenue of Karl Marx (ex US), which is one of the oldest streets in the city. 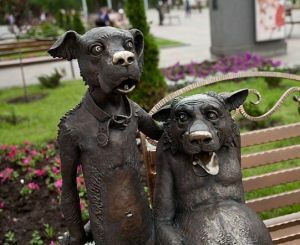 Відкрийте незнані досі місцини України разом з екскурсією «Моє Криворіжжя». За чотири години ви дізнаєтесь про це місто стільки, що зможете розповідати цікаві історії навіть його корінним мешканцям.